A big part of running any successful business is managing and maintaining all of its paperwork. Whether you have tax documents, training procedures, or compliance papers, you’ll need a place to keep all of it. If you store your important physical business documents in your office, you’re doing one of two things. You either have a room filled with paper file folders or a room filled with filing cabinets. Unfortunately, neither of those solutions is very safe. Either way, your documents could be damaged, stolen, or misplaced easily. They’ll also naturally decay over time since you’re not keeping them in a climate controlled environment. Your company's paperwork is your lifeblood. It tracks numbers, names, procedures, and more. It's a history of everything you've accomplished. Keeping all of it safe needs to be a number one priority. 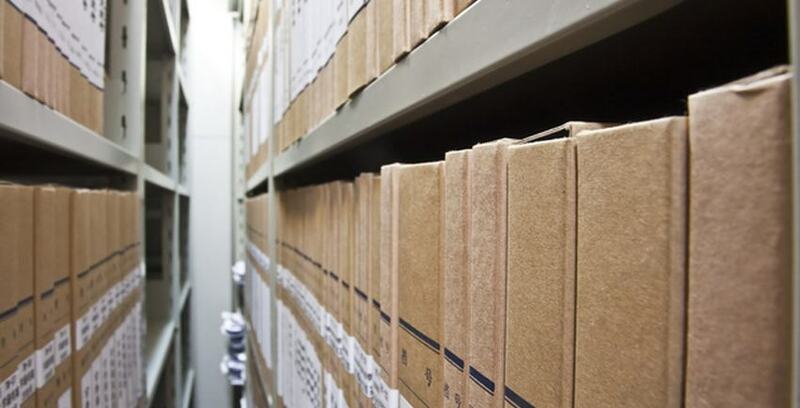 Off-site document storage is the best way to do that for a couple of different reasons. Actual office managers present during the day and security cameras offer peace of mind. Physical security like fences and locks make a difference. Temperature-controlled storage units will preserve your documents long-term better than any office storage solution could. If you need to keep physical documents safe, organized, and preserved, then offsite storage is the right choice. Renting an office is expensive, and the more space you need, the higher the cost. If you want to focus on building your business, it’s helpful to money wherever you can. You can save space and money by moving your paperwork offsite. Filing cabinets are big and bulky. A single cabinet usually requires over 15 square feet of space in order to be accessible. Making more room those files in your office means spending more money; money that you could better spend elsewhere. Off-site storage is a quick, easy, and dependable way to mitigate that cost, especially for new and growing businesses. Efficiency comes from organization and peace of mind. If you aren't worried about keeping your papers physically safe, you can focus on other things. If you aren't overwhelmed by the constant presence of filing cabinets, you can make space for new ideas. When you have to travel to a specific place to file your papers, organization is much easier. You're far less likely to just shove things away. All of these small benefits turn into big advances in efficiency. Off-site organization can help make your space--and your company--organized and efficient. If you’re interested in off-site document storage situations, look no further than Storage Direct. We have the safe, secure, organized options you’re looking for. Contact us today and we’ll work with you to find the perfect solution for your business.